Smartphones are the modern innovation that has transformed the life and thought of business all across the globe. These days the traveling app is greater in demand as human being love to travel and go to more places on their vacation. We can see that the wave of the On-Demand Applications is still going on strong and not just in big cosmopolitan cities with busy traffic and lack of parking space. But also in small towns that are racing towards the development phase hence creating a certain demand for services. Thus, the law of Demand and Supply! And one of the widely known on-demand app concepts is the Taxi Booking app also known as Ride Hailing apps. Few taxi services that are currently available in the market are Lyft, Uber, Ola, ZipCar etc. Thus people are also taking great attention in knowing about the on-demand concept of taxi app like Uber. Are you considering building an app like Uber? If your answer is YES, then you are at the right place. How much it would “Cost to develop an app”? After going through this blog you will also come to know more about the essential features that contributes to the cost of making an app which is based on the concept of Uber. But, as per the recently conducted studies, this trend will continue to bloom in the coming years. With the highly improved mobile apps development services, features as well as functionalities, the businesses have become smart and trendy day by day. If you have a look at the recent situation of the app market, you will be able to see that every day hundreds and thousands of applications are added with more advanced features to lure the global customers. Choosing the right team for developing your app is one of the most required factors in determining the cost of app. As we are not alike and most of us have different opinions about the concept, utility of the app. Thus, selecting the right team of app developers can be very tricky. For example: some of us will give preference to the features, some on the functionality and some of us want the best of both worlds. That’s why most of the app development firms hire app developers that are experienced and highly proficient individuals to cater out various requirements of app creation. Therefore, hiring the best application development team would also put a big impact on the price factor. The offshore model used when the client wants to get his/her project done at a remote location, whereas in the onsite model, the company develops the project within the office premises. Whereas in the hybrid model, both of the above-mentioned models is applicable i.e. the onsite team will work on the project during their office hours and after their office hours, the offshore team will be working on the same project from a remote location. Through this approach, the app development team is able to achieve the target that further helps them in the development of on-demand taxi application. This is another essential condition that puts a big impact on deciding how much you have to pay to the app developer. When it comes to including the features, the function of the app plays a pivotal role. For instance, if you are developing an app for a bank, then it must include the security features, easy methods of online transaction, a deposit of money, opening an account and so on. The implementation of features also depends on the kind of work you are doing. Addition to that, you also need to add social media buttons/icons such as Facebook, Twitter, and LinkedIn. To lure customers, this facility must be updated. But, the more features you add in your app it will become costlier. App updation and maintenance is another vital factor that is very much required to know the cost involved for mobile app development. Although the timely maintenance of app helps in fetching perspective consumers for your future business. For this, you need to test the app number of times for improving its performance. This is yet another option which is based on the decision of the client about what they prefer. The app developer will ask whether you want to opt for native Hybrid. The Native apps are developed with specific languages, for example, we use Java, Kotlin for Android Application Development and Objective C, Swift for iPhone app development. Native apps are costlier because they offer better user experience and they are also loaded with an exclusive design with high –quality features. The number of screens also matters a lot when calculating the cost-effective factors for app development. It also helps users to navigate the apps in more user- friendly way. The safety and security of the app is the most vital facet of app development so that the user may not get hurt at any cost. Additionally, this app must be safe and easy to maintain the data and other information that you put inside whether it is personal or the official. It must provide a sense of security to both the consumer and the developer. After reading the above mention points we hope you have got an idea about what are the factors required for developing an app so that we can proceed. Let’s see what kind of FAQs that are generally asked while developing an On-Demand Taxi App like Uber? What is your targeted Business Vertical? The first question that you need to ask yourself is: what is the business vertical that you are going to target with your on-demand mobile application. What is your future plan? Are you looking to build a taxi app like Uber or an on-demand platform meant for a different business vertical? There are also several companies in the market that offer White Label App solutions for such projects. Make sure you go through all potential target business verticals as per your field. For example: any home services like food, beauty or any other services. How is your on-demand platform different than Uber? You cannot develop an on-demand taxi application that is a clone of Uber. Copying an already successful app is not a solution, but for getting success what you need is to add certain features that your user love to use and share. And no other company is offering such a facility in your locality. Furthermore, the factors of demand and supply also act as influential and essential factors for developing your on-demand app so that you can target a particular business vertical. What should be the different focus areas during the product’s evolution? In this case, you want to create an on-demand taxi app based on Uber concept, the focus areas may vary distinctly from one stage to the other. The very first stage is that of discovering i.e. to confirm whether you are able to solve a meaningful query of your users with your app or not. The next stage is seeking validation from the users that are using your app idea. After Validation stage, the Efficiency stage comes where the refining of the business model takes place and final stage is to scale the growth drive in business. Admin Panel is web-based Admin Dashboard software that provides a basic overview of all the different processes. This panel also helps the admin in storing access to data and it also supports in managing the activities of drivers as well as the passengers. To make this admin dashboard even more efficient what you required that you must link it with your Google Analytics tool. With this, the admin is able to get the complete information about the logistics of all drivers and their trips including all financial issues. This Admin Panel also puts its eye on the huge amount of activities which is significant in monitoring the marketing and another aspect of business point of view. Registration/Login – The option of Sign Up and Sign In is believed to be the very first step and is a must do a feature. Every end-user requires are required to register with their personal details like email address, phone number etc. to access the app. Main Screen – It is also known as Home Screen. This screen is believed to be such section where the passenger can check for availability of the cabs located nearby with their distance-time duration so that they can book a cab according to it there need and requirement. Payment option – The payment option is another feature that is often used by both parties whether he is a user or developer. This option is generally used for paying the ride’s fare via different means of payment including e-wallets, credit cards and more. Notifications – The push notifications are meant to constantly show the user the updated status of the trip and other details regarding the ride. Ride History – This option provides the entire history of previous rides of a user along with his/her transaction details. Rating Form – Once a ride is completed, the user gets a review form to fill where he/she can provide driver rating as per their ride experience. Other than these many advanced new features are being added in such taxi on-demand apps like the Book Later option to schedule a ride, Payment Splitting, Gamification and much more. Profile and Status – This is where the driver profile will be created with details of the individual like ID proof, driving license, and other necessary documents. Navigator – The navigation feature is one of the key features because the navigator showcases the fastest and shortest way on the map to the driver to reach an assigned location. Passenger Ride Alert – This is how the driver is informed about a new ride or an addition of passenger to a shared trip. After the ride alert, the driver has the option to accept or reject the rider’s request. Features like Driver Referral and Regular Expedition Reports are some of the latest offerings in the driver panel section for Uber-like applications. For developing an on-demand taxi app you also need to know about which is the best app developer brand available in the market. ChromeInfotech is one of the top mobile application Development Company. The company was found in the year 2010 and since then it has become an ideal for numerous such clients’ worldwide. In a very short span of time, the company has gained massive reputation because of its innovative app design and timely delivery of services. The PrettyBird app one of the finest creation of ChromeInfotech. In a very short period of time, this app has gained massive appreciation among Canada’s top on-demand beauty app. The app can efficiently help you in providing beauty tips. Further, the app not only helpful for the beauty Professionals but also helpful to a wide network of clients across the globe who are associated with such a profession. You have to click on a few options and you will get the entire information within a second. App also plays an important role when it comes to saving a life. Imagine a situation of medical emergency and you don’t have anybody around you to help, but by pulling out your phone, opening an app and requesting the nearest idle ambulance available within short distance is a great idea. 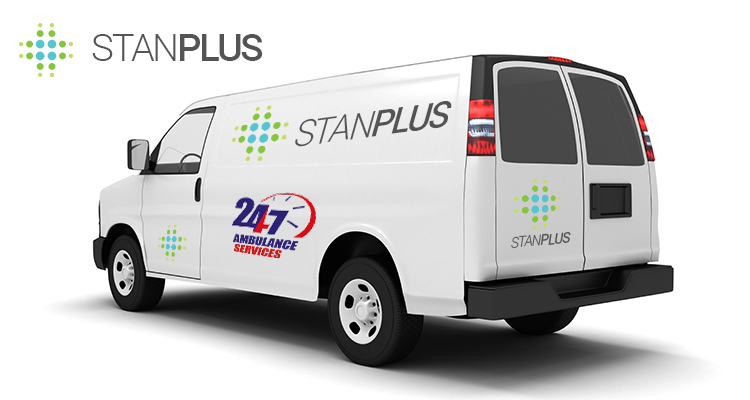 Our STAN PLUS medical ambulance app is an amazing concept and it cannot be replaced by any precious thing of the world. We have developed this app based on the concept of UBER which is very much in demand. However, number apps are still in the pipeline and our app developers are working day and night to meet the present and futuristic demand of such app. MiniCabster is yet one of the best app developed by us. This is another best example of concept base app for taxi- like UBER. The app officers some of the best in class services which are most innovative in terms of its features. 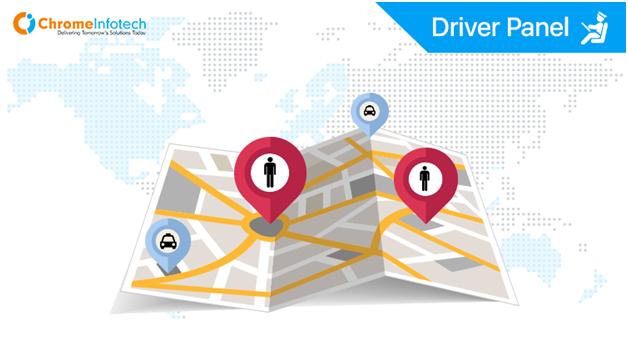 Through this app the user can browse through the local fleets and get quotes as per their desired journey upfront. 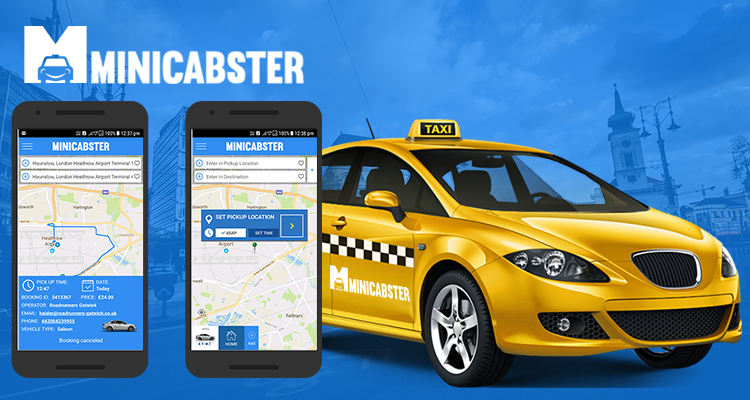 MiniCabster is the latest step in the minicab revolution However, this app is also gaining popularity because of is reliability, punctuality, and high standards of customer service. Looking from a general point of view, the hourly rates of the mobile app development process varies according to the locations such as in India the rate is significantly lower than in the USA. 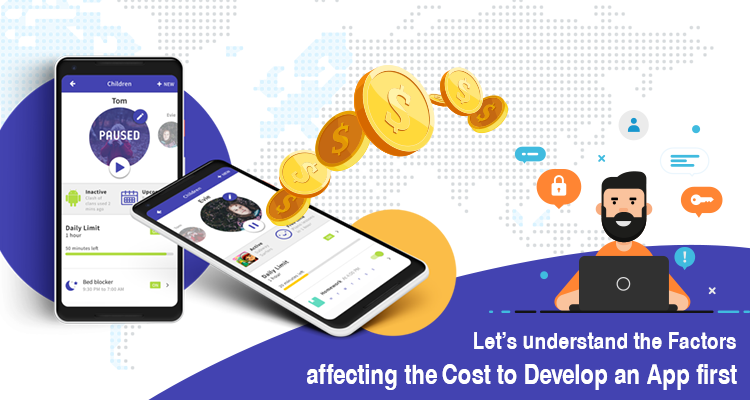 Calculating the total cost of a particular application depends on several different cost components, some of them are – Backend Development, Android/iOS (Native) Development, QA, Designing, Management, Web Development, Support & Maintenance etc. Nowadays clients prefer their apps to be built for both Android and iOS platforms instead of opting for just one. The functionality, as well as the backend, is similar for Android and iOS but the frameworks & tools would have to be platform specific to the development process. So, summarizing it all up, a single platform on-demand ride-hailing app like Uber would approximately cost from $40,000 to $45,000 at $60 hourly rate. And for an app based on the concept of Uber the budget would be around $70,000 for both Android and iOS platforms, this price may also increment in case of additional features in the taxi booking app. 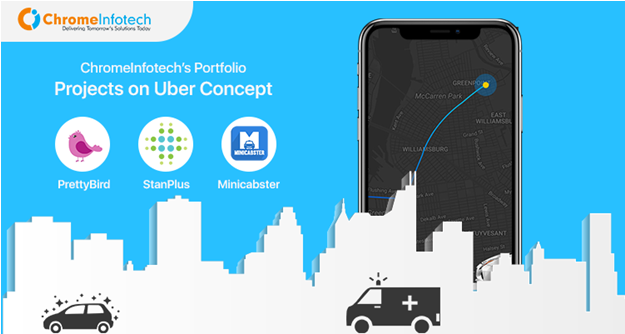 Building an app like Uber for Healthcare and Medical services can act as a boon for patients who are in need of comfortable means of transportation from their homes to the doctor’s clinic or hospitals – this goal can be achieved by offering Ambulance Taxi services to such patients. The idea of Custom Car Rental services is fitting for those people who need rental cars to simply travel the local area. If you are someone who does not own a car and do not need a driver to chauffeur you around the city then this application service might be the best option for you. 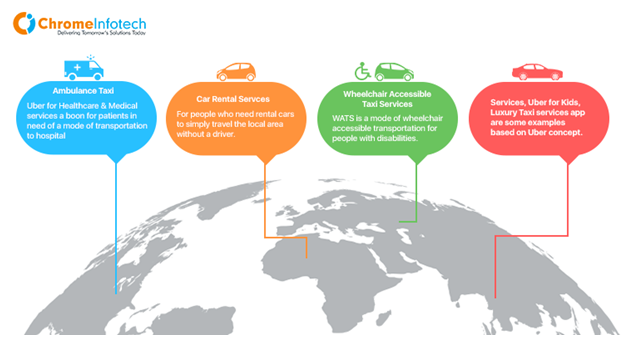 A new service that is getting more popular with the Uber-like concept is WATS that stands for Wheelchair Accessible Taxi Services. As the name suggests, it is a mode of wheelchair accessible transportation specifically for the individuals with disabilities. This industry is rapidly growing and right now has less competition in comparison to other sectors. 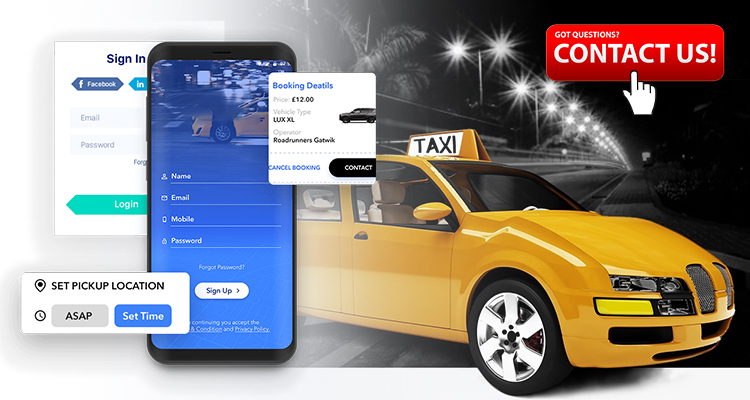 Some of the other sectors for the scope of this taxi services app are Water Taxi Services App, Luxury Taxi services app, and Taxi Services for Kids. To make a ground for your taxi services app make sure your taxi booking mobile app offers a service that solves an appropriate issue as per an industrial sector. So, if you are inspired by the Uber concept and have a great idea for a taxi services app then contact ChromeInfo Technologies now. Because our talented experienced team of app developers and designers can transform your great app idea into an even better reality in form of an iOS or Android app. This blog highlights some of the most essential features that are needed to keep in mind while developing a mobile app. So, how much does it cost to build an app? Depends on many factors like as application size, Development charges, complexity and newness of technologies. Although no one can give you the exact figure through this blog, we hope our little research will help you in finding answers to most of your questions regarding Uber-like apps and gives you a fair idea of the concept of Uber.